'For the One You Love'. Please pop over to the blog to see the fabulous inspiration from the team. I decided to make a masculine card, for the one I love. It's a fairly simple card to convey my message. I used a scalloped Kraft card. The background paper is from LOTV 'Father Knows Best' paper pad. Across the centre the panel consists of, a piece of Kraft card, a piece of card punched with a heart border. A piece of hessian (burlap), two hearts stamped from a My Sentiments Exactly set of stamps - Be Mine. The sentiment was created on my computer, a button added. In opposite corners are two metal corner embellishments. I do hope you like my card, I look forward to visiting you over the next two weeks and wish you happy time ahead. This week at Cardz 4 Guyz, Kim from the Design Team has asked us to 'Use Our Metal!' We can use anything we like as long as we include something which is metal. Please do pop over to the blog to see what the Design Team have used, they certainly have Used Their Metal. For my project another Happy Birthday card. The background papers are from LOTV Father Knows Best. The scripted panel was great fun, it is a piece of metal cut from a drinking can, flattened, embossed in an embossing folder. I added various splats of alcohol inks to colour the metal. The watch stamp, embossed with gold embossing powder, is from Personal Impressions Steampunk Frame and Watch stamps set. I also added a metal label frame, to hold the greeting. Looking forward to visiting your creations, have fun everyone. The challenge for the next two weeks at Fantasy Stampers is ' Somthing Spooky'. The only thing we ask is please use some stamps, as long as they are stamps you have had to use ink to stamp them, digis are NOT allowed. Pop over to see the inspiration from the Design Team. For my card, the piece of paper I used for the background was one I prepared months ago, when I had a messy background paper making session, with spary paints and some stamping. In addition for the theme I have added a few spiders and a couple of bats. The top right bat is suspended with some folded acetate, he wobbles when the card is moved. My stamps are a mixture, leaves from Sheena Douglass, skull unknown make bought from E Bay, the bats and pumpkin are by Tandastamps. Have fun everyone, I look forward to visiting your haunted mansions and creepy corridors. Fort the next week at My Time To Craft we would like to see a project for 'Hobbies'. I chose this artist's image from 'Fabulous Fellas' CD by Katy Sue Designs. Painting is a generic hobby so this would be suitable for either a man or woman who dabbles with paintbrushes and a canvas. Please do po over to the blog to see the inspiration from the DT. Have a go, and have some fun. For the letter S at Alphabet Challenges for the next two weeks our challenge is Stitching, this can be either real or faux. A good opportunity to show any items you have sewn, remember your project can be anything you have created. I made this vintage card for a recent class, the papers are from a Papermania paper pad Madame Payraud's. I drew stitch marks around each section to give the illusion the y were actually sewn together. It adds a little more interest to the card. The flowers were stamped onto red paper, the stamps from Sheena Douglas Flower Power stamp set. Have fun. Not long to go till it's Halloween, being a grandmother of five boys, I have a few projects to make. So our challenge at Cardz 4 Guyz is - It's Spooky Time. I really like these pop up boxes, they can be time consuming but they can be kept standing in the boy's bedrooms as a keepsake. (Hopefully) !If you fancy having a go, look on You tube or Pinterest, I used papers from a paper stack Monochrome by Dovecraft. The stamps are from my collection of Halloween stamps - Exhangables, Inkadinkado and Tandastamps. I used thin strips of acetate to suspend most of the embellishments. This pop up box/card folds flat and fits into an envelope. Please be sure to pop over to the challenge blog Cardz 4 Guyz to see how the Design Team and Guest Designers have inspired you with their Spooky Time. Have fun and happy haunting times. For the next two weeks at CD Sunday Challenges we would like to see Silhouettes. Amongst my ever growing CD collection, I found I don't have any with Silhouettes, I thought this also may be the case of others, but remembering the rules of the challenge blog, as long as something is used from a CD it doesn't have to be all of the project. The background sheet was printed from a Debbie Moore - Lizzy Lu CD - there are some wonderful sheets there for lots of uses other than those planned for the CD. I then cdreated a scene with silhouette stamps, all from Lavinia stamps. I'm not sure the source of the sentiment, I was given a few of these in a swap. I look forward to visiting you over the next few weeks. Have fun and hopefully stay well. For the next week at My Time To Craft we would like to see a tag, the challenge being 'Tag It!'. It must be a loose tag or tags, not to be attached to a greetings card. Tags are a wonderful way to experiment with techniques, they can be a very personal gift tag, or something to make just for the fun of it, example of this being above, though I wull be adding it to a gift this Christmas. I used paper from Papermania 'Twelve Days of Christmas' paper pad, the reindeer was given a new life, it once existed on an old ATC. A die cut added, at last I have used some Washi tape which I have had for over a year ( he he ) The small greetings tags are from LOTV - stamp set. have fun making your tag. For the next two weeks at Ruby's Rainbow, you have an opportunity to show us your prizes or freebies, for this is the next challenge. It doesn't have to be stamps, it can be dies, papers, anything you can use to create a project, but we need to know how you won it or it's origin as a freebie. A great challenge, something different. 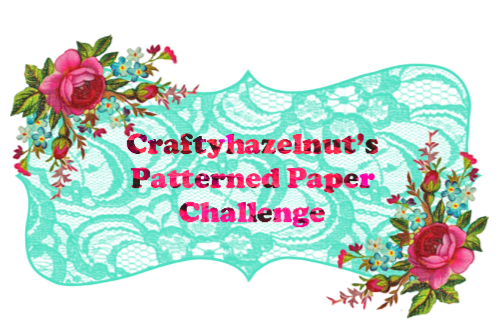 I have used for the background of my project a sheet of designer paper from a Debbie Moore CD - Lizzy Lu. 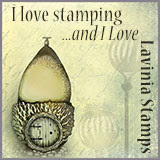 Every stamp I have used was on a Freebie sheet of Lavinia stamps with a magazine. I have added some Crystal glitter in various places and of course on the wings, I hope this will show when highlighted. Have fun everyone. For the next month at Sparkles Forum Challenges - the challenge is Fall or Autumn colours, these are my kind of colours, I love them all. I usually throw as much on a card as I can get away with, especially colour, but for this challenge I went with the Less is More attitidue. I used a Kraft card, gold mirri card to add some brightness against the resist technique panel. Leaves stamped with Versamrk, clear embossing powder, allowed to cool, then I added various Distress Inks to colour the panel. When dry, I buffed up the leaves. The additional leaves were created by first colouring some card with various autumnal colours, then I stamped with a freebie stamp from Craft Stamper magazine, adding 3 to side of the card. The sentiment is from Kaisercraft. Happy stamping everyone. Starting today over on Cardz 4 Guyz for one week the challenge is An Easel Card. For athose not sure on how to make one, there is a link to a tutorial on You tube or alternatively you could search for Pinterest and find a tutorial on there. They really are easy to make and make such a different type of card. Please pop over to the blog to check out the amazing inspiration from the Design Team, for two of them this was a first attempt, so well done ladies. Accepting challenges is what challenge blogs are all about. For my card, I was challenged by a member of my class with a stamp she had recently bought and needed ideas on how to make a card - result is my card for this challenge. This card will be perfect for my 18 yr old grandson, I think it says a lot!! The papers are from a Dovecraft pack - The 12 Days of Christmas - the stamp, apologies I forgot to get the details, I believe it is an American stamp. Have fun, I hope you find inspiration to give it a go. 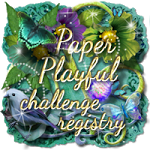 For the next two weeks at Fantasy Stampers the theme is Time Flies - so many ways you can interpret this challenge. Why don't you pop over to the blog, to see how the design team have been inspired with the title of Time Flies. I have chosen some old stamps from my collection. Old but gold stamps. I created the bckground blending several shades of Distress Ink blues, including the gorgeous Peacock Feathers. The background clock stamp is from Creative Expressions - Time set. The main image is from Clocks 1 Paperartsy, along with the lower sentiment. The Time Flies sentiment is part of a Stampendous stamp. I used Spellbinders dies to mat the image, the outer coloured with Faded Jeans and Peacock Feathers. I am looking forward to seeing your creations, have fun. My Time To Craft because our theme is Santa, yes, the wonderful guy who visits our children of all ages, once a year. I greatly enjoy Zentangling, so this stamp from Woodware with the word Santa was the perfect choice and excuse for me to play. Zentangling is not difficult, best described as 'doodling for adults'. The background card is stamped with Ho Ho Ho from the same stamp set. Glitter has been added to the hat. Hope you enjoy the challenge, I'm looking forward to seeing lots of Santas over the next week. Have fun. Alphabet Challenge's theme this week was chosen by me, so I hope you enjoy it. For the letter R - I have chosen Round or Rectangle, easy one isn't it? 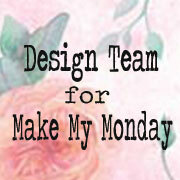 Why don't you pop over to the main blog and see my team buddies wonderful creations. I was inspired by a crafting friend Viv Howe with her card, to Zentangle into this Woodware Snow stamp. The best description of Zentangling I have heard is ' doodling for grown -ups'. It is so relaxing, nothing is regimental or required, you have the freedom to do what you will. I stamped the background card with a small snowflake stamp. I added glitter onto the snowflakes and around the edges of the Snow panel, I'm hoping it will show when you click for a close up. Have fun and enjoy playing with either a Round or Rectangle project. Hi again, this week at Cardz 4 Guyz the teme chosen is 'Time To Retire'. It could be either retiring to bed or retiring from employment, wherever your imagination and creative ideas take you. I just love this stamp from Fizzy Moon - called All About Him, I coloured it with Promarkers. The background papers are from LOTV - Father Knows Best Designer papers, all matted onto Kraft card. Card candi to embellish. The Happy Thoughts greeting was a free stamp with a magazine. Please do pop along to see the wonderful creations from my fellow Design Team buddies, lots of wonderful inspiration. We are also introducing two fabulous Guest Designers for October. At CD Sunday Challenges - Christmas is Coming - yes we have opened up the thought of Christmas. Please pop over to see the wonderful inspiration from the Design Team and while your there check out the new header and badges which Sue B has designed for us, looking posh me thinks, a great job Sue, many thanks. It seems amongst the team, the Shawn Jenkins Collection has proven very popular, though we know there are many more suitable CDs around, most of us have chosen this CD from our collections. This design is such a happy card, suitable for some of my grandchildren I think. I have added some ribbon and a few card candi, other than that it is a very simple and quick card. Have fun ladies, I look forward to visiting you during the next two weeks. For the next week at My Time To Craft the challenge is Die Cuts Only - A sentiment is acceptable but NO Images. I know challenges are meant to challenge, well that is what it is all about isn't it? To help us to develop as crafters, to try doing some things we wouldn't normally try. Well, you may not realise this but we the Designers are in the same boat. Take me for example, I am a stamper, through and through like a stick of rock, no images, OMG what was I to do? Find pretty papers, done. Look at the small number of dies I have in my craft room and see what I could create. Surprised that what I had could actually create a card. 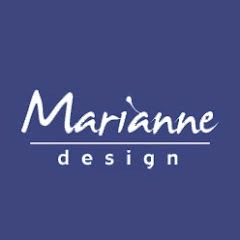 Dies - Butterflies- Rose are Marianne dies. Small Flowers and scroll - sorry don't know the make. Stamp sentiment from HobbyArt. Label Die from Go Kreate. So if I can do it, I am sure you can. Have fun, I'll be popping round to see you. 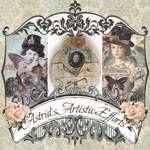 Hello everyone, we are midway in our challenge at Fantasy Stampers for 'Here Come The Girls'. We like to give everyone a mid week reminder of the challenge but also to hopefully motivate you to create an entry. It is my honour to be the provider of the inspiration for this challenge. For my papers I have used new purchases, being Papermania, Capsule Collection of Eau de nil and Oyster Shell, Kraft card and white pearlised paper, punched with a fancy X-cut punch. I used a dragonfly punch, small flower Woodware punch, Martha Stewart leaf punch and a die for small flowers. The stamp is by Sarah Kay coloured with Promarkers. I distressed the edges of all paper and card, and edged with Vintage Photo Distressed ink. Hope you like the inspiration and maybe you'll think of popping over and joining us. 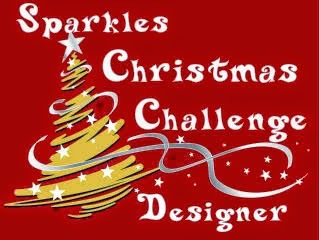 Sparkles Christmas Challenges. For October we challenge you to make a project For A Child. 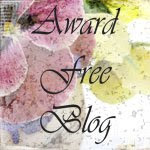 Please pop over to the main blog where he team have produced some fabulous inspiration for you. My card is made up of layers of Papermania Christmas papers, the main image is a stamp from Walter and Winnie Designs, coloured with Promarkers. A little glitter added for the snow, can't have a Christmas card without a little glitter can we? I hope this card is bright and cheerful for any child to enjoy. For the next two week's at Ruby's Rainbow Challenge # 89 will be Autumn Leaves. I hope you will be popping over to the blog to se the wonderful inspiration from the Design Team. Autumn is my second most favourite season, the colours are so vibrant and interesting. For my card, I added with dimensionals a white decorated square onto a square card. For the smaller square, I added DI to one edge only, starting with Scattered Straw, through various autumnal colours ending at the edge with Vintage Photo. I added some brown and cream twine. The leaves were created by randomly adding and blending numerous autumnal Distress Inks to a piece of scrap card, once completley blended and dry, I stamped 3 leaves with a stamp from Sheena Douglas Leaves stamp set, I used Black Soot and embossed with clear embossing powder to give a super shine to them. The sentiment is from the same stamp set. I look forward to visiting you and hope you enjoy creating your Autumn Leaves.